Le Antunne offers comfortable accommodation, attractive gardens, a lovely pool area and great sea views, all within a short stroll away from the centre of Porto Cervo. Conveniently located in the centre of Porto Cervo, Le Antunne is just ideal for holiday-makers who relish having everything on their doorstep whilst on holiday – a good selection of prestigious bars, restaurants and high fashion boutiques can be found within a few hundred metres away on the famous piazzetta, whilst the nearest sandy beach at Piccolo Pevero is only a short drive away. Le Antunne consists of 13 villas, all sharing a good size swimming pool and a Jacuzzi. Nestling amongst a typical Sardinian landscape of olive trees, granite rocks and Mediterranean macchia, the setting is perfect for those who wish to get away from the hustle and bustle of Porto Cervo for a time and relax by the pool. Each villa comprises a spacious living/dining area, a simple kitchenette, two or three bedrooms, air-conditioning throughout (payable locally) and a lovely terrace or balcony boasting views across the marina and the sea beyond. In our opinion, Le Antunne is a really privileged address and is a very popular choice with our guests – early bookings are recommended to avoid disappointment. Two-bedroom villas 120m²: Open-plan living/dining room, kitchenette, master double bedroom, twin bedroom, two shower rooms. 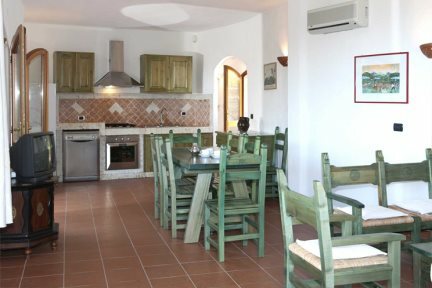 Three-bedroom villas 150m²: Open-plan living/dining room, kitchenette (dishwasher, gas hob, electric oven, microwave, fridge), master double bedroom, two twin bedrooms, three shower rooms. Shared pool (17m x 8m, depth 1m-2.3m), Jacuzzi, private garden with barbecue, washing machine, gas hob, electric oven, fridge, dishwasher, microwave, television, Wi-Fi. 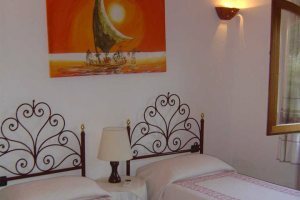 Payable locally: air-conditioning (€75 per week) and cot (€10 per night). Please note: credit card and ID required at check-in. 3 bedroom mini-villa 150m2: Open plan living/dining room, kitchen, master double bedroom, two twin bedrooms, three shower rooms. 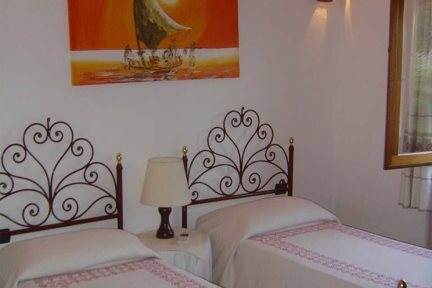 2 bedroom mini-villa 120m2: Open plan living/dining room, kitchen, master double bedroom, twin bedroom, two shower rooms.